In Ecuador we call those crushed and fried plantains “patacones”!! Anyways, the food look absolutely delicious! Thank for mentioning that. 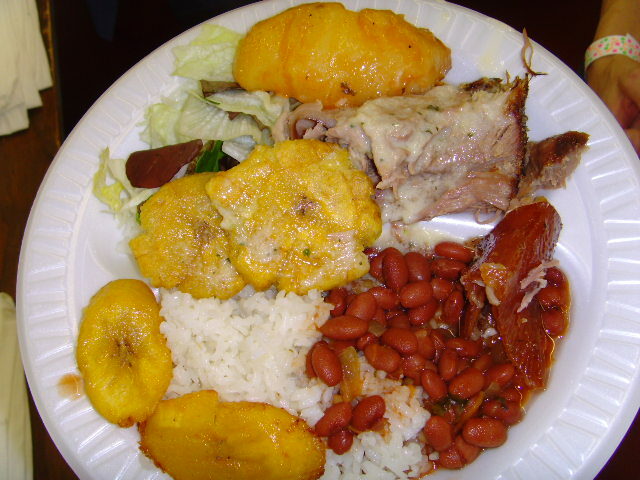 In fact, the more familiar term seems to be patacones. I think tostones is limited to the Caribbean and Central America. This is absolutely delicious! Great to find it here! Just came across your blog & love the massive amount of content on SA restaurants & food. We work with several restaurants in the Austin area and are getting ready to open a restaurant in San Antonio & would love to send you some information on the restaurant. Well the food is good and alsome!! I will share it with my frenids!!!! The food looks absolutely delish, do you have any good recipes for use on a BBQ, I am cooking for family and friends this weekend and could do with a few ideas.